Well done to HolyFamily BNS in achieving a remarkable fifth level Green School flag in Dublin. Also Holy Family BNS received an equally remarkable fifth National Science and Maths School of Excellence Award from Discover Science Ireland. In conjunction with these awards Holy Family BNS were awarded a first Maths School of Excellence Award in Waterford Institute of Technology. A special word of commendation fo teachers Ms Mullally and Ms Breathnach and all the children who put a huge amount of work into achieving this unique award. Also we would wish the best of luck to our award winning school choir in the Pat McGrath cup and all the boys on the award winning soccer panel who are participating in the inter schools soccer cup. Finally all the children are looking forward to particiating in our Actice School awards week. Busy days in Holy Family BNS ! 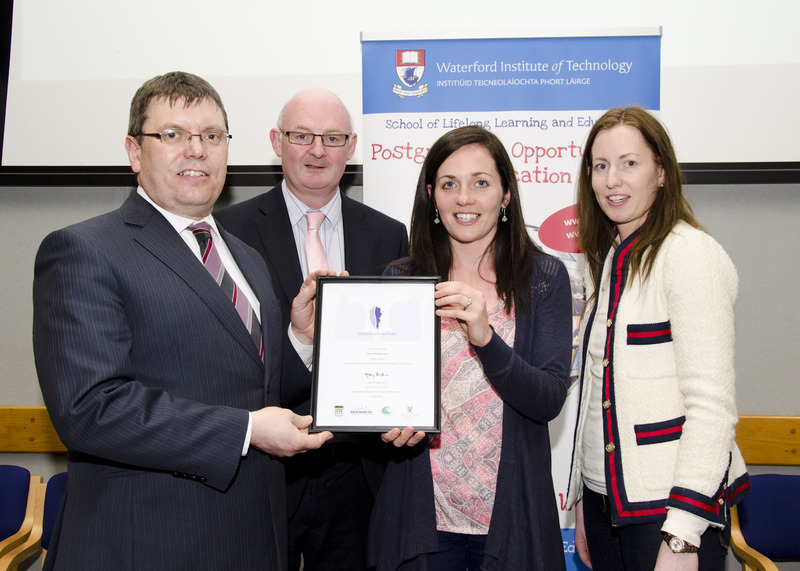 Photo shows Ms Breathnach receiving the Maths School of Excellence award at Waterford Institute of Technology from Director Mr Paul Fields. Sixth class from both Holy Family BNS and Holy Family GNS were honoured to welcome Fr. McVerry, who spoke movingly about his work with homeless children. The children were delighted to present Fr. 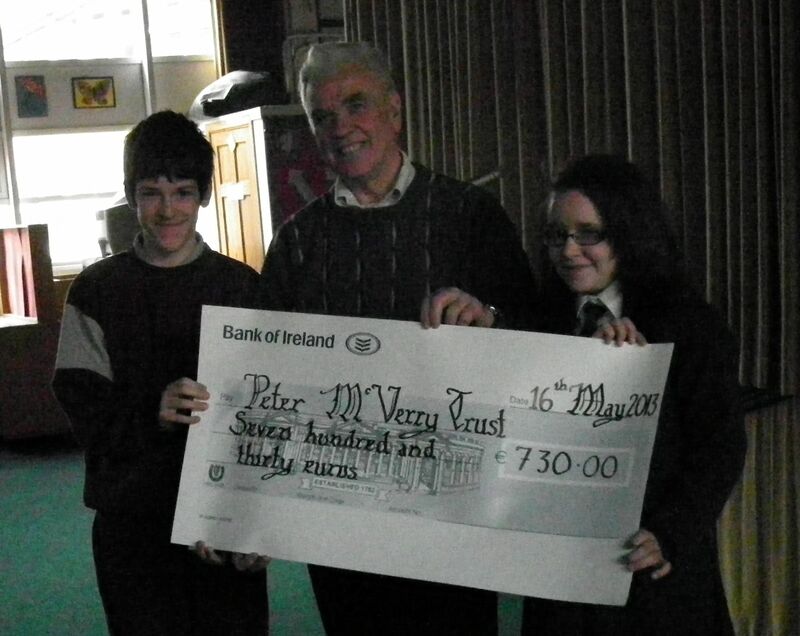 McVerry with a donation from their confirmation. 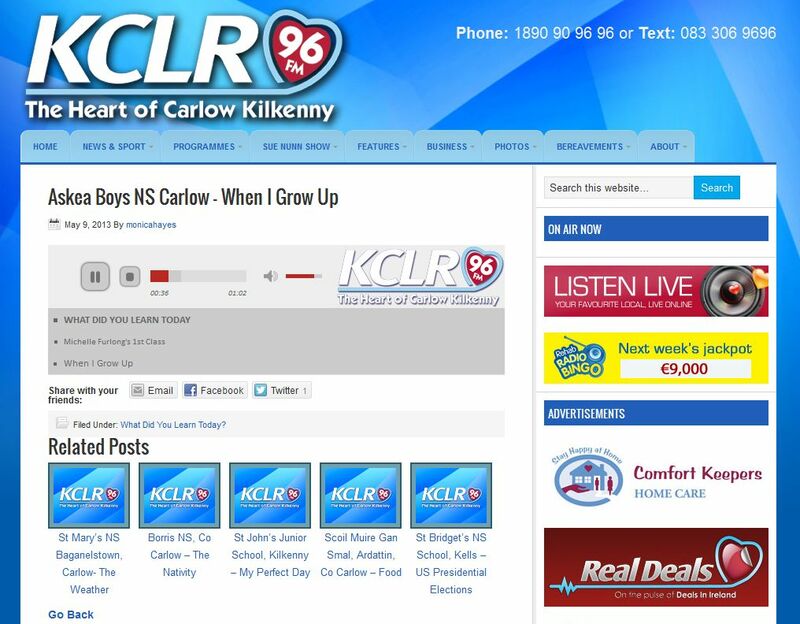 Click on these links to hear the boys from 1st Class and Senior Infants chatting about their pets and hobbies! 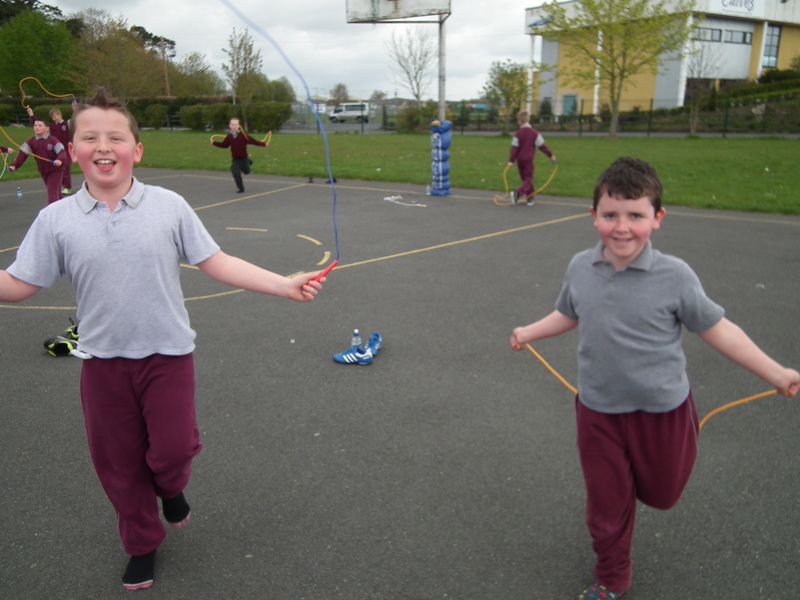 Skipathon: Well done to pupils in Ms Quirke’s 3rd and 4th class who raised over 200 euro for the Irish Heart Foundation with their recent fun skipathon.